Daniel Lingham, who stole almost wild bird 5,000 eggs, today [12 October 2018] pleaded guilty to five charges at Norwich Magistrates' Court. Lingham is now due for sentencing on 27 November at the same court, having taken eggs from rare and threatened species including Western Marsh Harrier and European Turtle Dove. Describes as the most prolific egg collector in recent years, one of the charges Lingham pleaded guilty to was the possession of 75 eggs belonging to Schedule One species. RSPB Senior Investigator Mark Thomas stands with part of Lingham's collection that was seized by police (RSPB). The court heard how, on 21 May this year, Norfolk Constabulary were called to Cawston Heath following reports of a man acting suspiciously. The man – Lingham – was located and arrested after being found with nine Common Linnet eggs. The police contacted the RSPB and, following their advice, a search was conducted at Lingham's home in Newton St Faith. 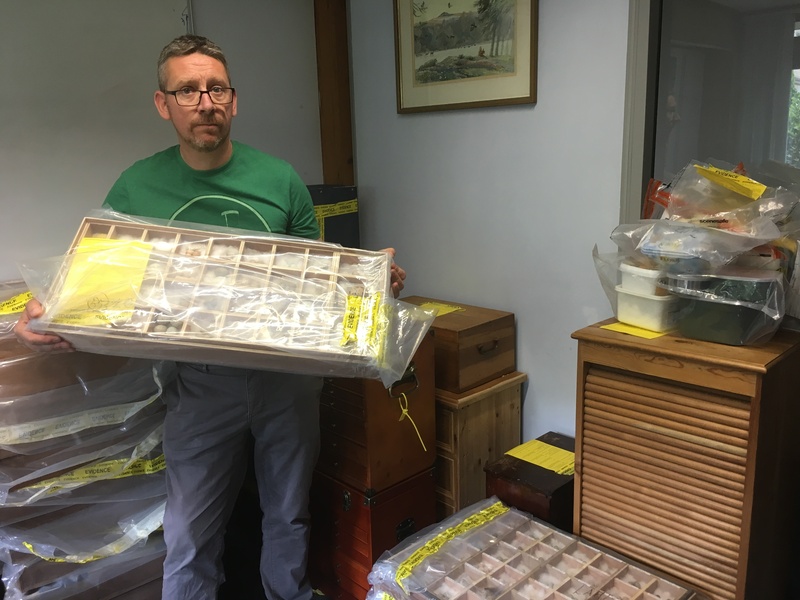 Here nearly 5,000 eggs were found, stored and catalogued in wooden trays, having all been taken from sites in Norfolk. Lingham has a track record of breaching the Wildlife and Countryside Act 1981, having been jailed in 2005 for 10 weeks following the discovery of 4,000 eggs at his home by police. Mark Thomas, RSPB Senior Investigator, said: "At a time when egg collecting is on the decline, Lingham is the most prolific egg collector in recent years. It's very rare that an egg collection of this magnitude comes to light these days. "Lingham has taken significant numbers of eggs from some of our rarest and most threatened birds. This will have a huge impact on their local, regional and national populations. Birds like European Turtle Dove are in long term decline – we have lost 94 per cent of them in the Britain since 1995 and no British bird is declining faster. These are species that conservationists are working tirelessly to save, for the benefit of future generations." Some of the eggs taken included vulnerable and rare species, including European Turtle Dove and Western Marsh Harrrier (RSPB). 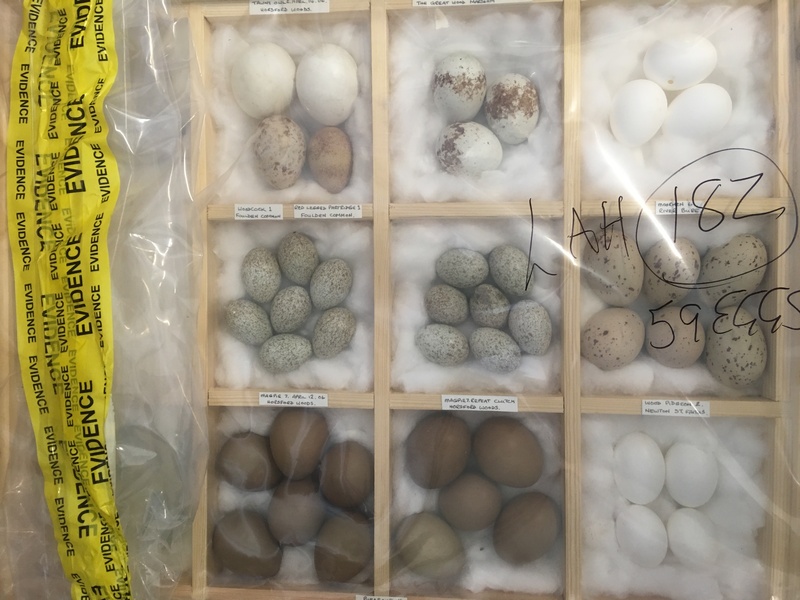 PC Tom Pellew and PC Leah Hutchins, both based at Aylsham Police Station, led the investigation, with the former stating: "The sheer scale of the collection of eggs that Lingham had in his possession was very worrying, with many of the species involved being endangered. We know that crimes of this nature often go under-reported, which is why cases and convictions like this are so important in raising awareness of such wildlife offences. "The vigilance and assistance of the public is key in preserving Norfolk's natural beauty and wildlife diversity, which is why I would urge anyone who has witnessed offences like this to contact police on 101." Possession of articles capable of being used to commit an offence at his home address.